Survivor pools (also known as Suicide, Eliminator, Last Man Standing, or King of the Hill pools) for the NFL are becoming more popular every year. Although players only pick one team per week, the work involved with running a Survivor pool manually can quickly become a burden (especially as a pool begins to grow very large). 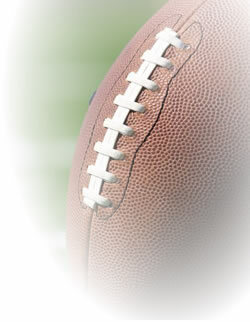 Run your Survivor football pool with us and see how easy it can be. How Do Survivor Pools Work? Each pool member chooses one NFL team each week. If their pick is correct, they survive until the next week. An incorrect pick eliminates the player from the pool for the remainder of the season. The goal is to be the the last member standing at the end of the season. Need Help with Survivor Picks? Pick winners (Survivor pool) or pick losers (Loser pool) New! While a Suicide pool may sound simple enough, you'd be surprised how hard it is to stay alive. Pool members need to plan picks carefully. Picking the Patriots to beat the Cardinals may seem like a no-brainer, but is it smart to use up your Patriots pick this week? Think before you pick! RunYourPool.com makes the process of picking a team each week safe and simple. There will be no more weeks where members mistakenly pick a team they've already used. We keep track of each member picks and prevent them from repicking a team. 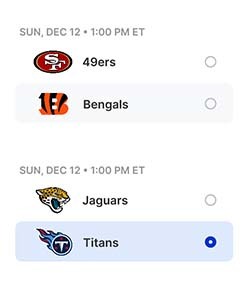 Pool members are able to view all other pool members picks ONLY after the weekly pick deadline has passed, i.e., the start of the first game each week. We want to be able to see who everyone picked when we watch the games, but we don't want members basing their picks on other members picks. RunYourPool.com has designed an easy to understand weekly results report. Members can easily understand who is alive and who has been eliminated. There is nothing more frustrating than being eliminated from a Survivor pool early on ... and it happens to the best of us. 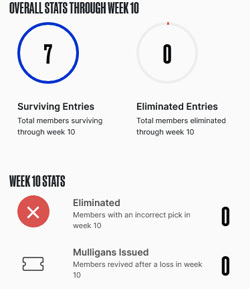 Therefore, runyourpool.com has implemented a "Mulligan" feature for our Survivor pools. Using this feature, Pool Administrators can reinstate members that have been eliminated from the pool in the previous week. While our site allows this feature to be used at anytime during the season, we recommend restricting Mulligans to the first few weeks of the season. No more error-ridden or illegible pick sheets. No more tabulating strikes and who has been eliminated. Pool standings are automatically updated. Add your company or organization logo to customize the look of your Survivor pool. For more information, see our Brand Your Pool page. 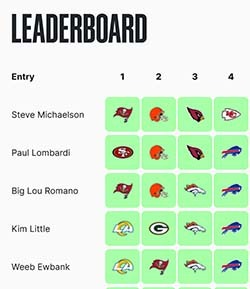 Every NFL Survivor pool hosted at RunYourPool.com includes a free, private message board. Your pool's message board, accessible only to your pool members, is a great way to communicate with members. Run your pool with no payment or obligation through the first week of the NFL season. After the first week, there is a one-time fee to continue using the service based on the number of members in your pool. Our price is your one-time fee for the entire NFL season! Included in the cost is the added benefit that we retain your pool information and members from year-to-year. Simply reset your pool next year and have your members log back in to pick again. Start your Pool Today - No Upfront Fee or Obligation! Start your NFL Survivor pool with us today. If you have any additional questions, please contact us via email at sales@runyourpool.com. We're happy to answer any questions you may have.